Spent about 3 hours on this tattoo the other day. The image is kind of deceptive as this design is smaller than a regular 8 & 1/2″ by 11″ piece of paper. She wanted her tattoo to look more fierce and feminine so we based the bird more off of a hawk than the popular peacock look. 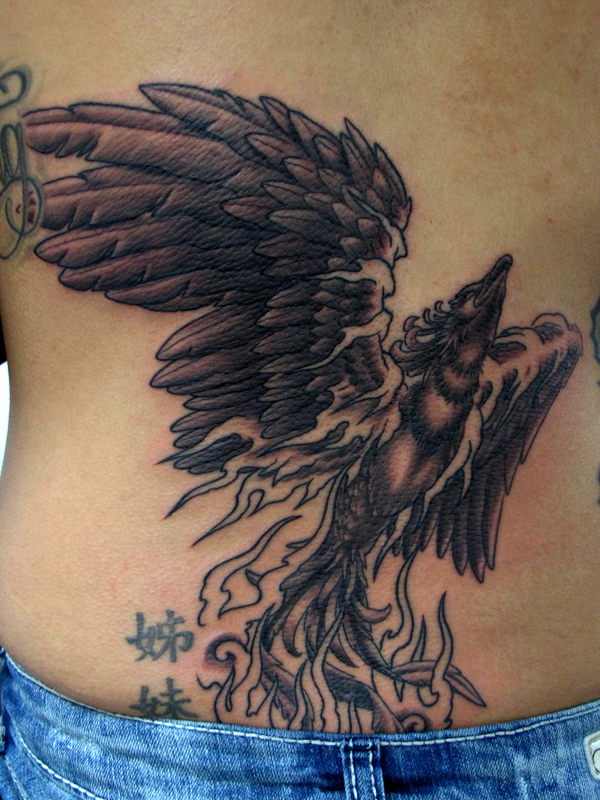 This entry was posted on February 26, 2012 at 2:12 am and is filed under Tattoo with tags Phoenix Tattoo. You can follow any responses to this entry through the RSS 2.0 feed. You can leave a response, or trackback from your own site.